News & Events – May I Have Your Attention, Please? 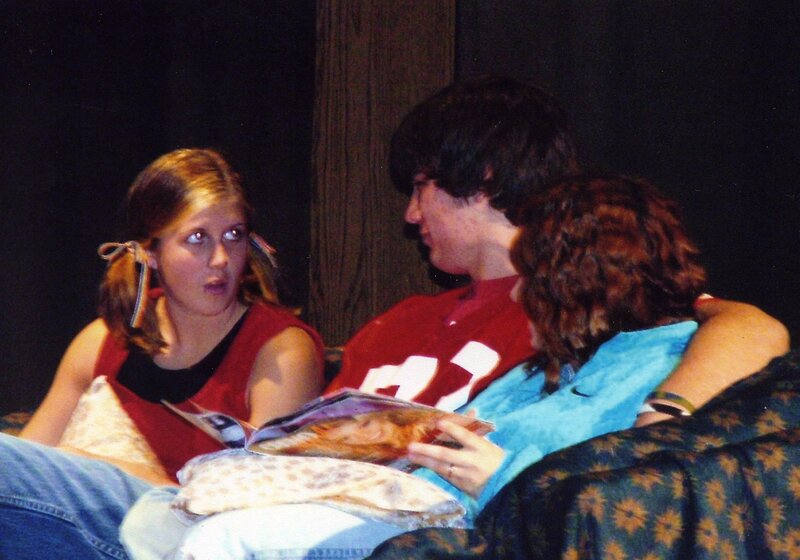 WINDHAM HIGH SCHOOL, WINDHAM, NH (2 performances) – May I Have Your Attention, Please? GLENOMA , WASHINGTON (2 performances) – May I Have Your Attention, Please? MIDLAND VALLEY HIGH SCHOOL – May I Have Your Attention, Please? MISSISSIPPI SCH OF MATH & SCI – May I Have Your Attention, Please? BOLD HIGH SCHOOL, Olivia, Minnesota – May I Have Your Attention, Please? Henry Gordon Academy, CARTWRIGHT, GOOSE BAY , NEWFOUNDLAND- May I Have Your Attention, Please? NEWBERN MIDDLE SCHOOL VALDOSTA, GA – May I Have Your Attention, Please? BRACKEN COUNTY HIGH SCHOOL BROOKSVILLE, KY – May I Have Your Attention, Please? R J REYNOLDS HIGH SCHOOL WINSTON-SALEM, NC – May I Have Your Attention, Please? CROSSCREEK HIGH SCHOOL AUGUSTA, GA – May I Have Your Attention, Please? THEATRE AT GRANITE BAY, SACRAMENTO, CA – May I Have Your Attention, Please? POMPANO BEACH, FL – May I Have Your Attention, Please? Fort Pierce Central HS, ST Lucie, FL- May I Have Your Attention, Please? Knox Central HS, Barbourville, KY, May I Have Your Attention, Please? Cushing HS, Oklahoma, May I Have Your Attention, Please? PEEL BOARD OF EDUCATION BRAMPTON, ON L6T 1W4 CANADA- May I Have Your Attention, Please? Arran High School, Lamlash, on the Isle of Arran, Scotland – May I Have Your Attention, Please? Cambridge Academy, Greenwood, SC – May I Have Your Attention, Please? TIMBERLAND HIGH SCHOOL WENTZVILLE, MO – May I Have Your Attention, Please? C.E. KING MIDDLE SCHOOL HOUSTON, TX – May I Have Your Attention, Please? MOUNTAIN POINT HIGH SCHOOL MESA, AZ -May I Have Your Attention, Please? LEWISTOWN PUBLIC SCHOOLS LEWISTOWN, MT – May I Have Your Attention, Please? PAYSON HIGH SCHOOL PAYSON, AZ -May I Have Your Attention, Please? 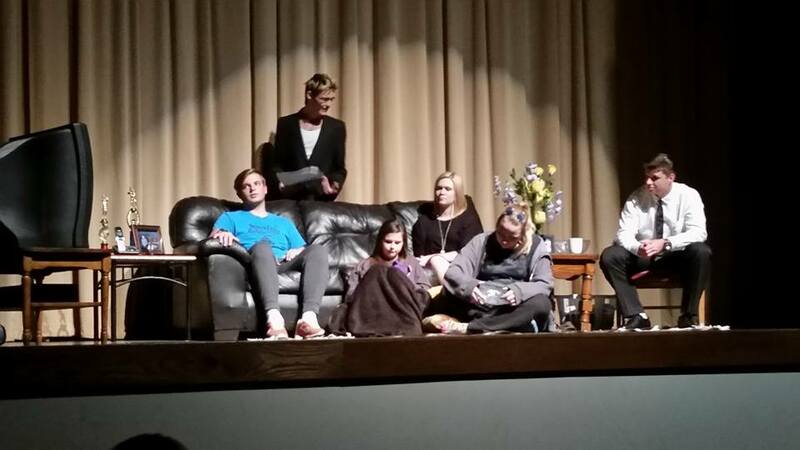 by Catherine Rhoden Goguen, directed by PHS Senior Kiki York, tech directed by PHS Senior and Thespian Troupe 4972 Officer Cameron Rislund. What it’s about: A touching story that is not only interesting, but also informative. 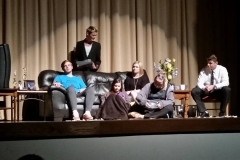 Chris (played by PHS Senior and Thespian Troupe 4972 Officer and State Thespian Officer), an under appreciated 15-year-old who just wants to be accepted, teaches his family a very important lesson about life. DAKOTA PRAIRIE SCHOOL PETERSBURG, ND -May I Have Your Attention, Please? CLAY COUNTY HIGH SCHOOL CLAY, WV -May I Have Your Attention, Please? ATLANTA PUBLIC SCHOOLS ATLANTA, GA – May I Have Your Attention, Please? ALDINE ISD HOUSTON, TX -May I Have Your Attention, Please? ASPEN HIGH SCHOOL ASPEN, CO – May I Have Your Attention, Please? Brecksville Theater on the Square, Brecksville, OH – May I Have Your Attention, Please? ALDINE ISD HOUSTON, TX – May I Have Your Attention, Please? LAMONT HIGH SCHOOL LAMONT, AB T0B 2R0 CANADA – May I Have Your Attention, Please? CLAY COUNTY HIGH SCHOOL MANCHESTER, KY – May I Have Your Attention, Please? BRACKEN COUNTY HIGH SCHOOL, BROOKSVILLE, KY – May I Have Your Attention, Please? South Miami Middle School Drama Magnet, Miami, FL – May I Have Your Attention Please? BOLD SCHOOLS, OLIVIA, MN – May I Have Your Attention Please? CAMBRIDGE HIGH SCHOOL, MILTON, GA 7 p.m. in the Cambridge Theatre – May I Have Your Attention Please?